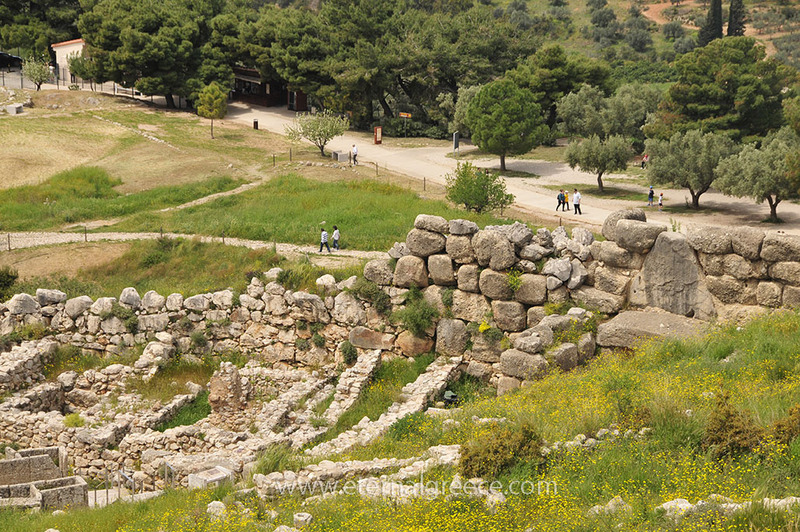 Our tour of Mycenae may not make us personally ‘rich in gold’ as Homer characterised this illustrious city, but it is sure to be enriching in a wider sense. 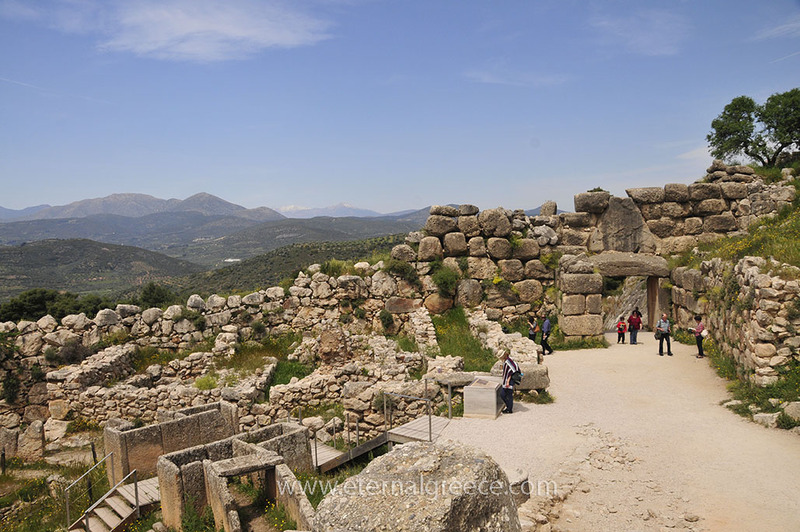 Situated on a hill about 11 kilometres from Argos, with a commanding view of the Argolid Plain down towards the coast, Mycenae was a major military stronghold and the wealthiest palatial centre in Greece during the Late Bronze Age (1600–1200 B.C.) – the era known as the Mycenaean Age. Famed not least for its ruler King Agamemnon’s key role in leading the Greek allied fleet in the war against Troy, it inspired ancient and modern works of literature and art, from Homer’s epics (the Iliad and the Odyssey) to Classical Greek tragedies. No wonder these ruins have attracted inquisitive visitors ever since Roman times. 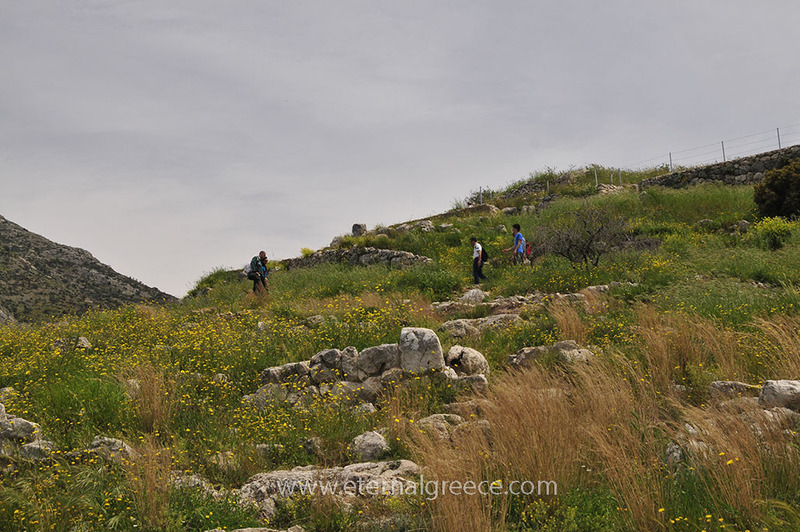 We shall ascend the steep slope at a gentle pace to appreciate what was once a wondrous citadel under the spells of its Cyclopean walls and the unique Lion’s Gate, with the finely preserved beehive tomb of Atreus and several other graves of the Mycenaean elite. Legends abound here, too numerous to mention in detail, so let’s consider the highlights. 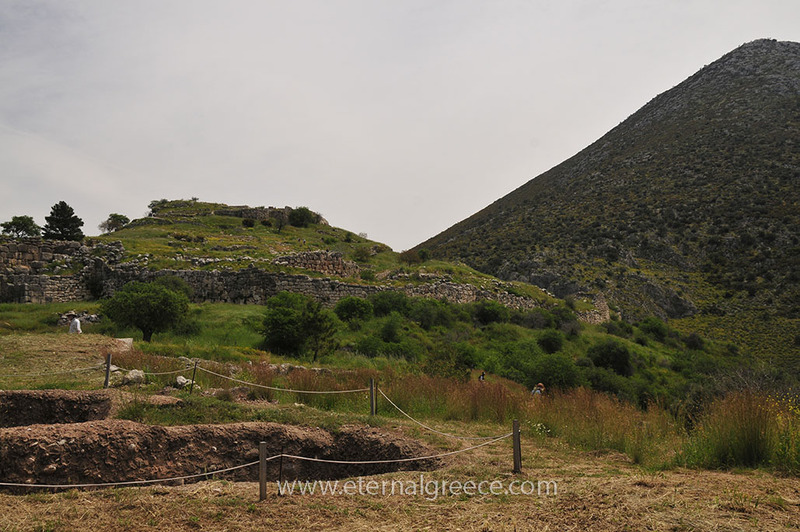 Mycenae’s founder was allegedly Perseus, the demigod, son of Zeus and Danae, a mortal woman. Nearby lies a spring called Perseia in his name. Cast out of Argos as an infant by his grandfather, Acrisios, Perseus finally returned following colourful adventures, including the rescue of Andromeda, his wife-to-be, and the capture of Medusa, the gorgon’s head. He speedily accomplished these tasks, flying either by means of a pair of winged boots borrowed from the god Hermes, or on the back of the winged horse, Pegasus*. Out for revenge against Acrisios, using the gorgon’s head as a weapon, he inadvertently turned his great-uncle Proetus (Acrisios’ twin brother, king of Argos) to stone. He later killed his grandfather accidentally when he threw a discus that hit him on the head during a contest. Exiled from Argos as a result, he founded the new city of Mycenae, where ruled until he was killed in a battle against Argos. The throne was eventually held by Perseus’ grandson Eurystheus, also said to be king of Tiryns, who commanded Heracles to complete his Twelve Labours, and was highly embarrassed when Heracles did so. 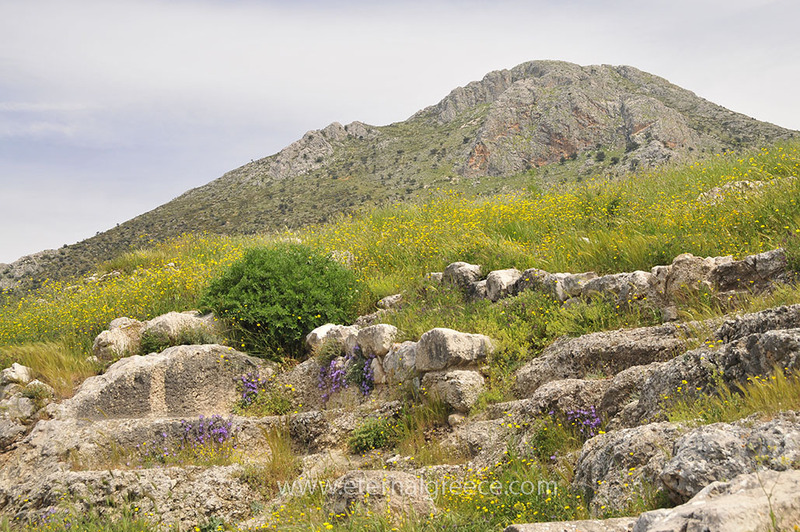 Eurystheus died, leaving no heir of his own to rule Mycenae, whilst attempting to kill Heracles’ children. Then Atreus, father of Agamemnon and Menelaus the king of Sparta, took over. His sons respectively married Clytemnestra and Helen, the daughters of Tyndareus who ruled Sparta, where Menelaus became king. Troy came into the picture when its prince, Paris, who happened to be in the neighbourhood, ran off with Menelaus’ wife, Helen. It seems this was enough to trigger the separate tribes of Greece into an unprecedented act of unity. Led by Agamemnon, their allied warships set sail for Troy, into the historic war documented in Homer’s Iliad. Unfortunately, in order to please the gods so that they would provide wind for the fleet’s sails, Agamemnon sacrificed his daughter, Iphigenia. Although Iphigenia may have been saved by the goddess Artemis, Agamemnon’s act was never forgiven by his wife, Clytemnestra. She bore the grudge for ten years and, upon his return from Troy, murdered him as he was enjoying a relaxing bath. *We can also note the celestial connections as the constellations of Perseus and the Perseids, Andromeda and Pegasus appear in sequence in the night sky. 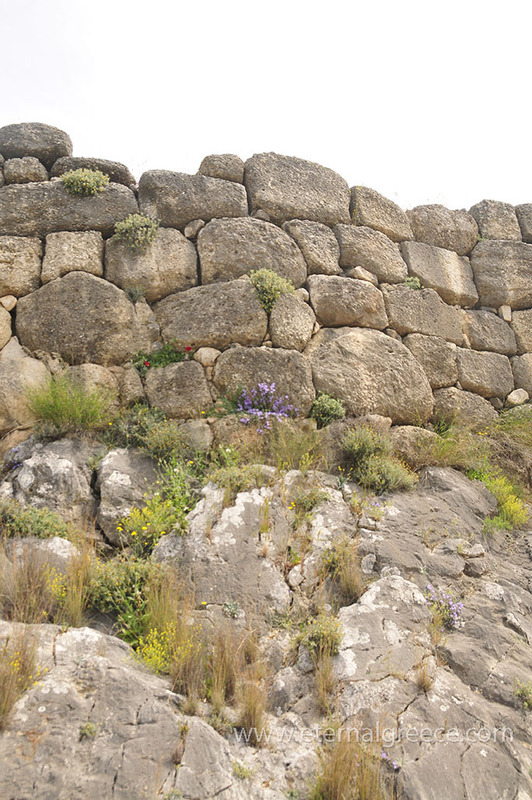 Like many Bronze Age cities, Mycenae was built on the ruins of a Neolithic settlement from 7000-6000 B.C. of which not much remains. 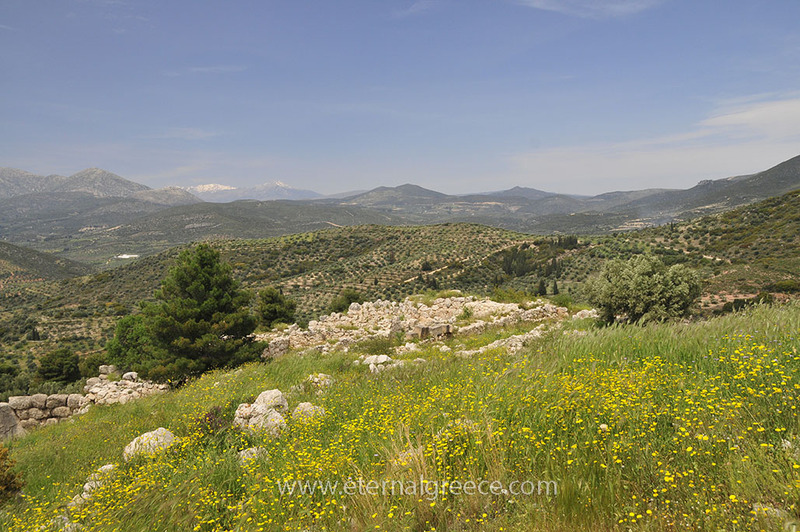 Homer’s reference to Mycenaean gold was given substance in the mid nineteenth century when the German archaeologist Heinrich Schliemann first excavated the shaft graves on the site. Schliemann was so thrilled to uncover what he believed to be the gold burial mask of Agamemnon that he named the place the Tomb of Agamemnon or the Treasury or Atreus. Although these names remain, this tomb and the gold mask were later proved to date from a much earlier period – maybe belonging to the first king who ruled there. Before Schliemann’s time, some of the tomb’s decorative columns and other artefacts had already been taken by Lord Elgin, to finally end up on display in the British Museum. The scribes of the Mycenaean Age kindly left behind many inscriptions carved on stone tablets, such as those found here and at nearby Tiryns, and others in Pylos (in Messinia), Knossos and Chania (in Crete), as well as Thebes, and painted on jars found around the same areas. These prove that Mycenaean society had developed its own form of syllabic script, now known as Linear B, which has been deciphered as an early form of Ancient Greek. From what has been decoded so far, it appears that each citadel had its own king who was the head of a team of public officials in a highly organised feudal system. 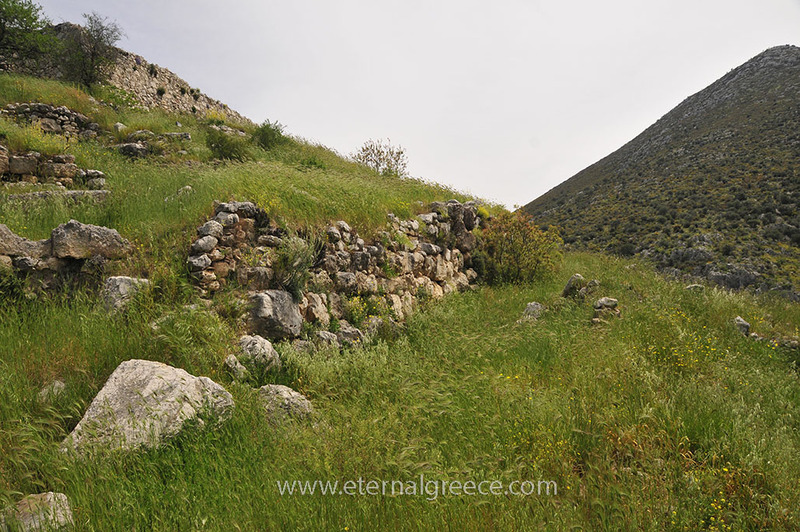 The Mycenaean religion involved the worship of numerous gods, each connected to different forces of nature, which were the forerunners of the later Hellenistic gods. The luxury items, such as jewellery, vases and ornaments made from gold as well as copper and bronze and gemstones, which were found in the royal graves, attest to the prosperity of the Mycenaeans at their peak until the end of the thirteenth century B.C. Mycenaean art was clearly influenced by the Minoan culture in Crete that came before, and the Mycenaeans traded their goods throughout the Mediterranean. 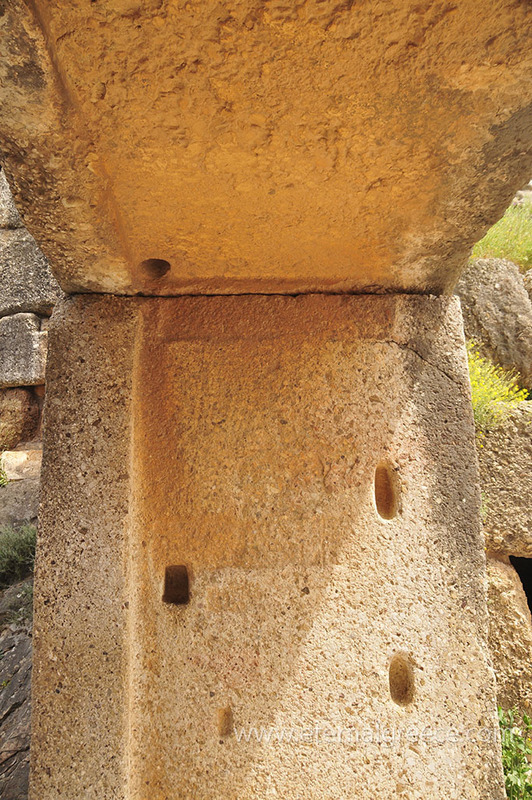 In the ruins of Mycenae is a fountain called Persea; there are also underground chambers of Atreus and his children, in which were stored their treasures. There is the grave of Atreus, along with the graves of such as returned with Agamemnon from Troy, and were murdered by Aegisthus after he had given them a banquet. As for the tomb of Cassandra, it is claimed by the Lacedaemonians who dwell around Amyclae. Agamemnon has his tomb, and so has Eurymedon the charioteer, while another is shared by Teledamus and Pelops, twin sons, they say, of Cassandra,whom while yet babies Aegisthus slew after their parents. Electra has her tomb, for Orestes married her to Pylades. Hellanicus adds that the children of Pylades by Electra were Medon and Strophius. 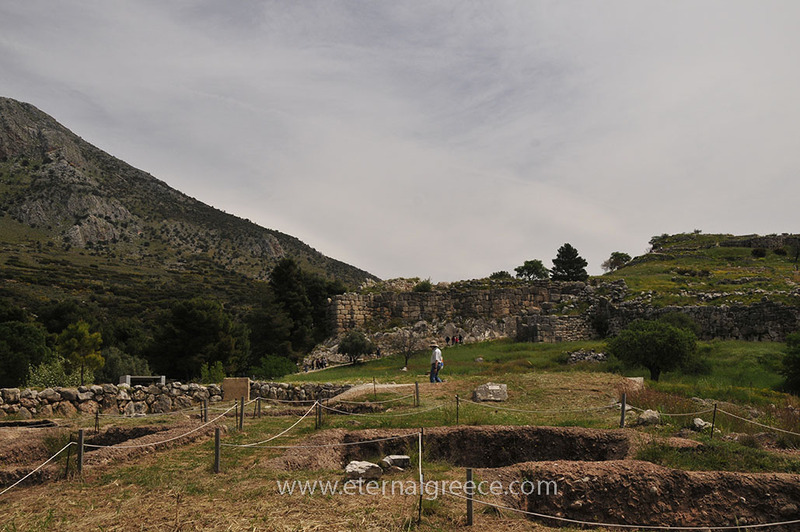 Clytemnestra and Aegisthus were buried at some little distance from the wall. They were thought unworthy of a place within it, where lay Agamemnon himself and those who were murdered with him. 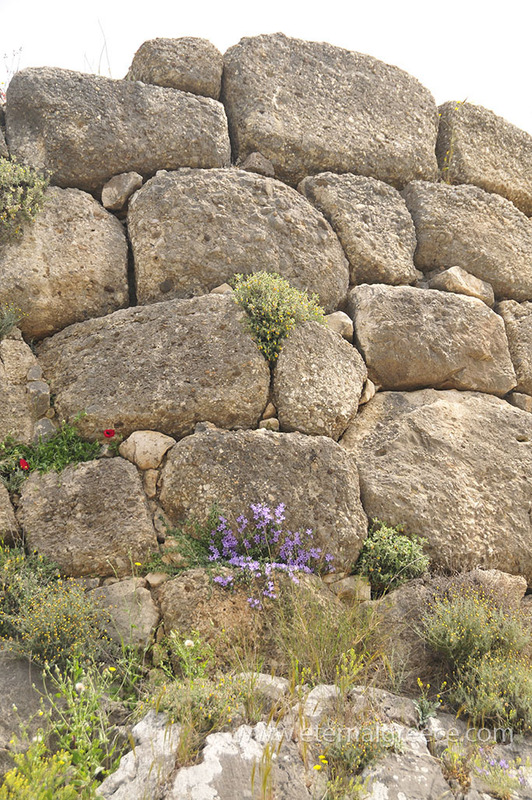 Just as the relics show us that Mycenaeans were an affluent, politically organised (albeit undemocratic) society of craftspeople, traders and warriors, the massive Cyclopean walls and intricate beehive-shaped structures were clearly built by highly skilled architects and construction engineers. 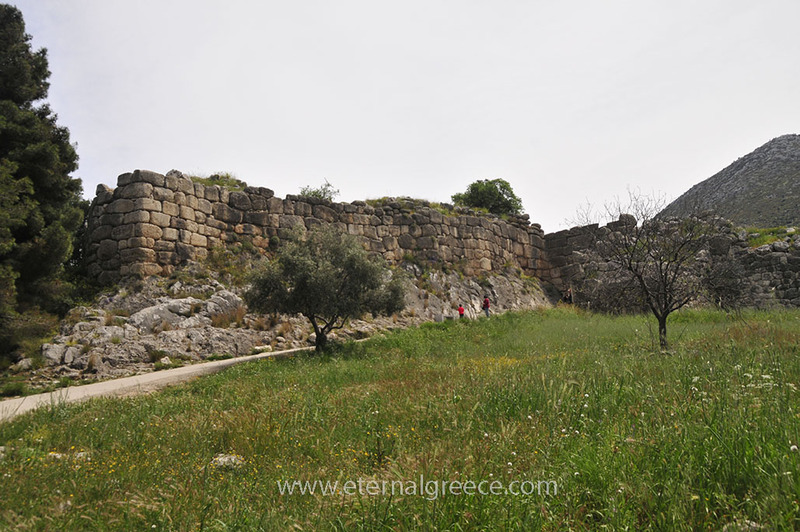 The megalithic walls encompassing the citadel had a total length of 1,104 metres, their width ranged from 7.5-17 metres, and their preserved height is up to 12.5 metres: 14,420 huge stones all told! The largest included the lintels and gate jambs which weighed well over 20 tonnes and some may have been close to 100 tonnes. Hence the name ‘Cyclopean’, from the ancient assumption that giants – the mythical one-eyed Cyclopes –must have helped to position them. 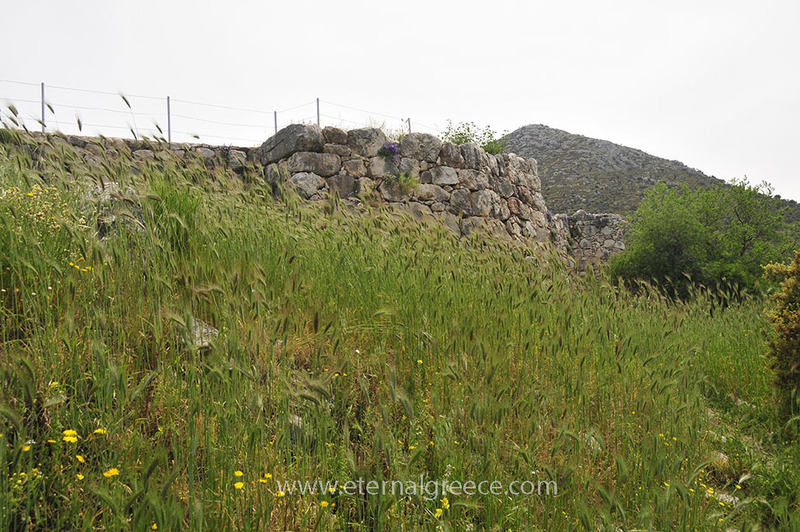 In reality, the minimum time required to move the stones for the construction, based on an eight-hour working day, would have been around 110 years using men alone (2.125 days per block) or 10 years using oxen (0.125 days per block).So Mycenae was likely to have been built using the combined strength of men and oxen rather than giants … but who knows? 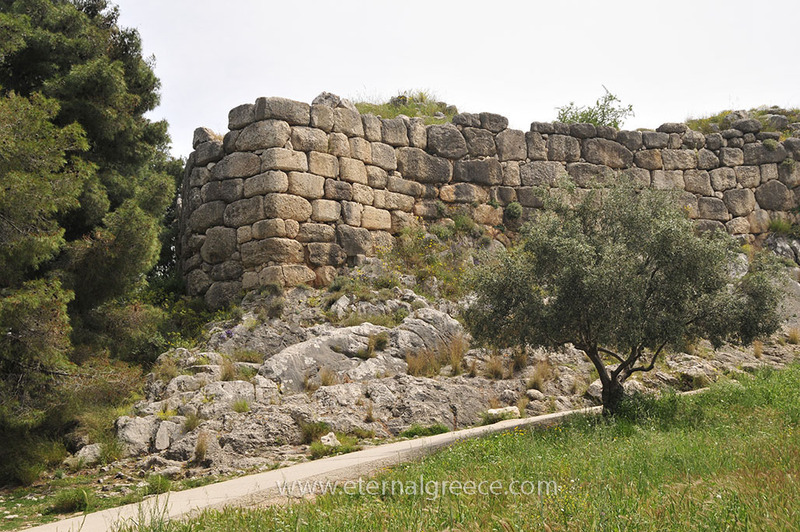 What became of Mycenae? 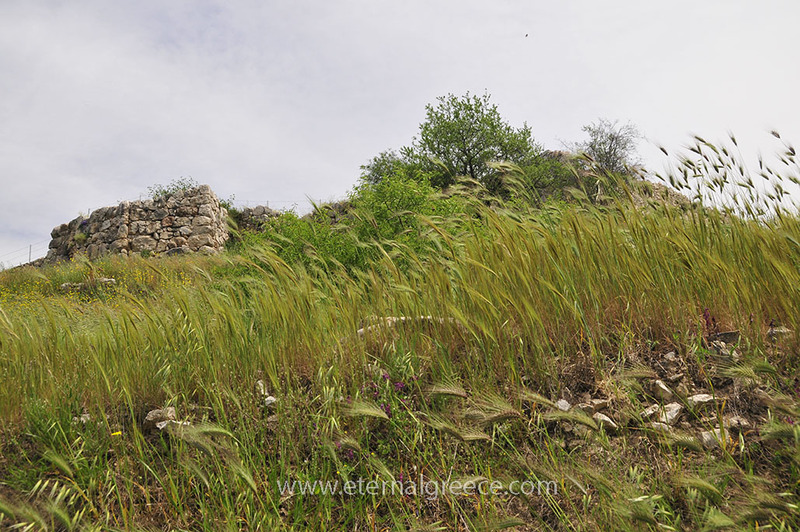 This is still open to investigation, though archaeological evidence shows the citadel was abandoned around 1100 B.C., as coincidentally were the other Mycenaean centres. Major earthquakes seem to have taken their toll around 1200 B.C., but fires and other destruction were probably caused by enemy raiders. This correlates to the end of the palatial system, suggesting political unrest and social change played a vital part. 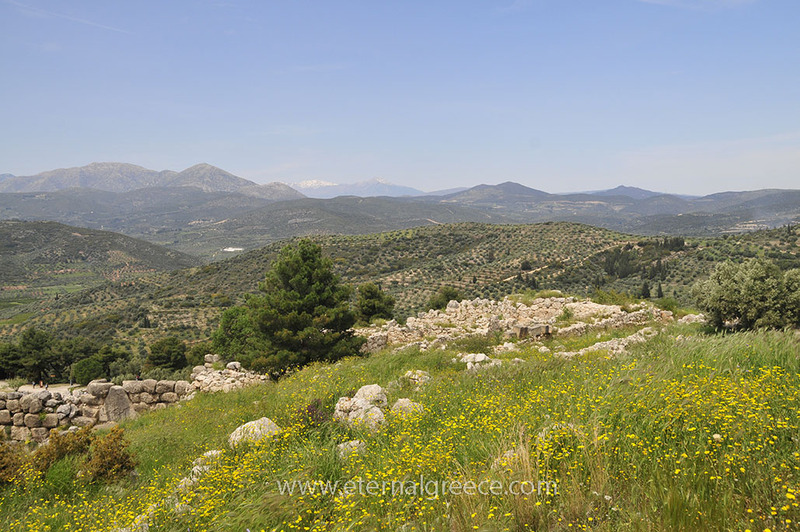 The town was still occupied until the Classical period, with Mycenaeans taking part in the battles against Persian invaders in 468 B.C. Then it was conquered by the people of Argos, who built a theatre over the site of the tomb of Clytemnestra. 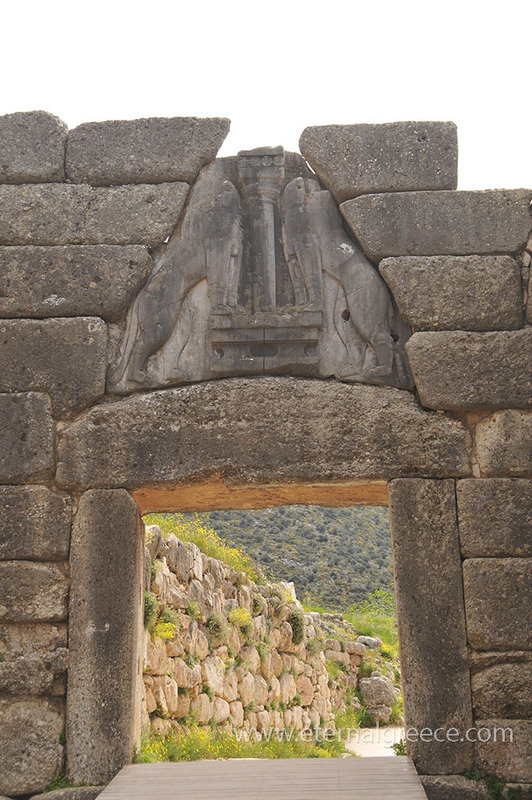 In the shadow of the massive Cyclopean walls, we enter the citadel through the Lion Gate, which is adorned with the images two, now headless, lions in relief. Notice the Gate’s triangular shape, carefully designed to support the weight of the walls. We pass by the shaft graves that Schliemann discovered, where ongoing excavations continue to reveal more clues. The gentle climb up the path takes us to the courtyard of the royal palace. In the focal point, the Megaron, the throne room of the palace, we can see the central hearth, around which are the stone bases of the columns that supported the roof. The room was decorated with frescoes on the walls and floor, similar to those of Minoan style. On the eastern side of the citadel we can admire the view from the ramparts. From there, a staircase leads down to an underground storage room. 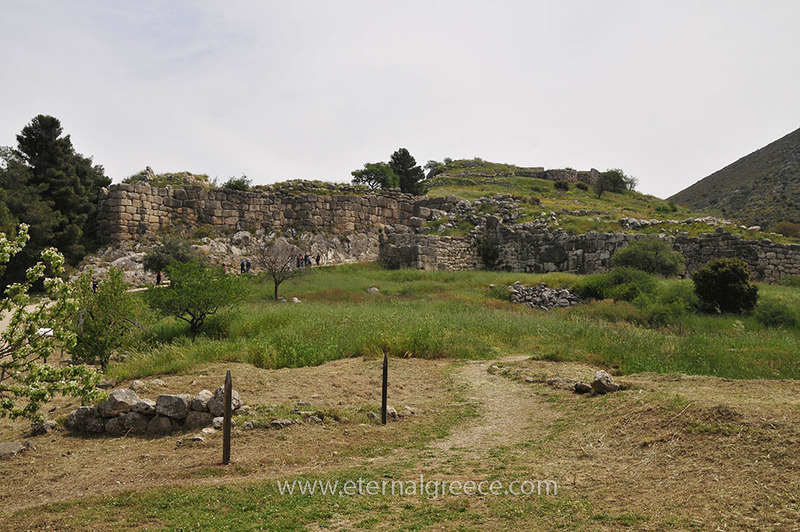 Then we come to the curious beehive structure, known as the Treasury of Atreus or Tomb of Agamemnon. Whatever it was, our trip would be incomplete without a look inside. Outside the palace walls are the excavated ruins of prominent buildings called: the House of Shields, the House of the Oil Merchant, the House of the Sphinxes and the West House. These were probably homes and workshops. 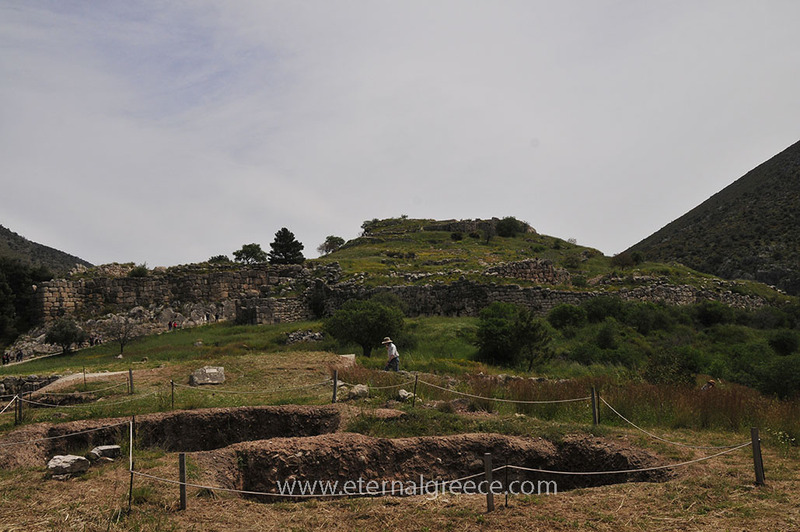 During our visit, we will pass by the ongoing excavations both close to the tombs and in the lower part of the town continue the quest for more clues. Following this short hike, a leisurely stroll around the nearby exquisite seaside town of Nauplion (Nafplion) will reward our efforts. 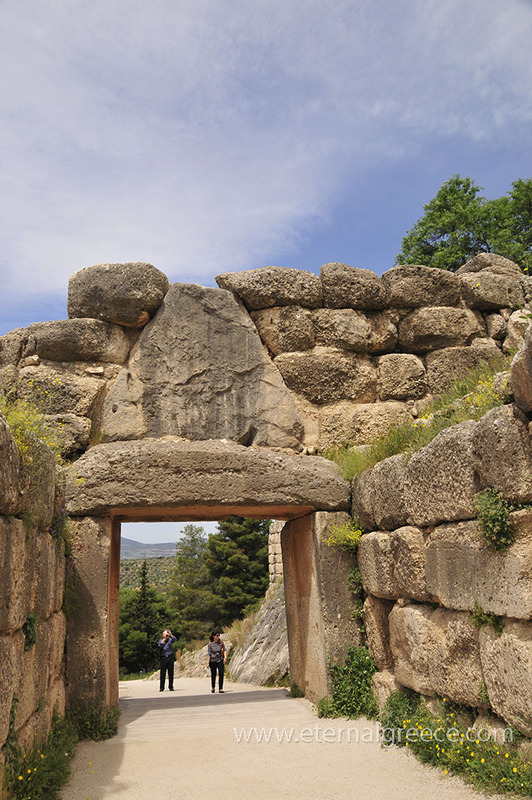 An extensive guide on Mycenae by National Geographic can be found here: Ancient Mycenae.